The first year as your Junior Warden has been a very busy one. The following major projects were completed: Installed a new concrete sidewalk from the robing room steps to the existing walk on the north side of the church ($2,199.21); for the fence surrounding the yard -- all gates were fixed to operate correctly, sections were repaired or replaced, and a number of posts were either reset or replaced and set in cement ($1,452). Fr. Harrison paid for the side gate ($125); fixed nail pops on parish hall entry roof, installed a thermostatically &humidistatically-controlled exhaust fan through the parish hall entry roof, and wired same; reset all nail pops and cleaned gutters on parish hall and chancel roof ($1,151). Both septic tanks were pumped out ($460). Installed a fan center control and thermostat and replaced the fan belt in the Sunday School area ($594); After a few tries at trying to resolve the extreme heat in the parish hall ($432), a new steam valve and actuator was installed on the church/parish hall furnace, as the old one was believed to be have been installed in the late 1970s ($4,432). Repaired leaking faucets in the parish hall restroom sink, kitchen pre-wash sink, outside faucet, rectory upstairs bathroom sink, and toilet ($640). Other miscellaneous items: replaced broken thermostat in chancel area ($360); in the rectory, painted upstairs bathroom ceiling and rectory side door ($500), with lots of sanding off of many layers of colors on the door; windows cleaned in the upper and lower levels of the parish hall ($311); rectory windows cleaned, and paid for by Fr. Harrison ($245). Reattached side table in altar ($50); replaced window pane in rectory bathroom ($80); and calibrated ovens in parish hall stove and had stove checked over ($148.49). The mechanic stated that the stove was in very good shape. Launched a project to review the feasibility of restoring the bell tower to its original 1838 configuration that would include pinnacles on all 6 points; restoring the bell so that it will “ring,” not just “bong”; a study of the overall structure of the tower itself, and complete all repairs and painting required; and possible improvements to accessibility from the nave to the parish hall. Last year, Bobbi Stewart, Fr. Harrison West, and Sue C. Shackford ventured up to the ECCT archives located in Meriden. There, Margret Smith guided us through numerous files and locked archives. As Fr. Harrison has reported, it held papers that had been hand-written by our founders in 1744 and the many who followed; “very moving.” We have met with a representative of the Connecticut Trust Historical Preservation, and Bobbi has been working on the applications for various grants. More to follow in the near future. Formed an “Adopt a Garden” program. Off to a good start with 9 members signing up to keep their section weeded, bushes trimmed, and mulched. Many have added bushes and have taken care of and watering the same. Excited and hopeful that the parish will help grow this program. Started receiving estimates to install an emergency generator. This will provide for the needs of our community in storms that results in the loss of power. I have estimates for a service contract on the furnace for the church, parish hall, and rectory, $500-$600. Contract pending additional estimates. Twice we held a parish wide clean-up. We had a small turnout, but lots of work was accomplished. I hope to see lots more this year. 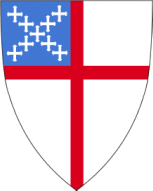 We are now the keepers of that which was cared for by those who first had the desire to start our original Episcopal church, located on the Green in 1744. Each generation since has continued to care for our church, and now it is in our hands to do the same for us and the next generation. Thank you to all who have donated time, effort, and talent in helping us in various projects. Much appreciated! There is much to continue to do to maintain, improve, and, in general, take care of our “Beautiful Historical Church” on the Green in Guilford.